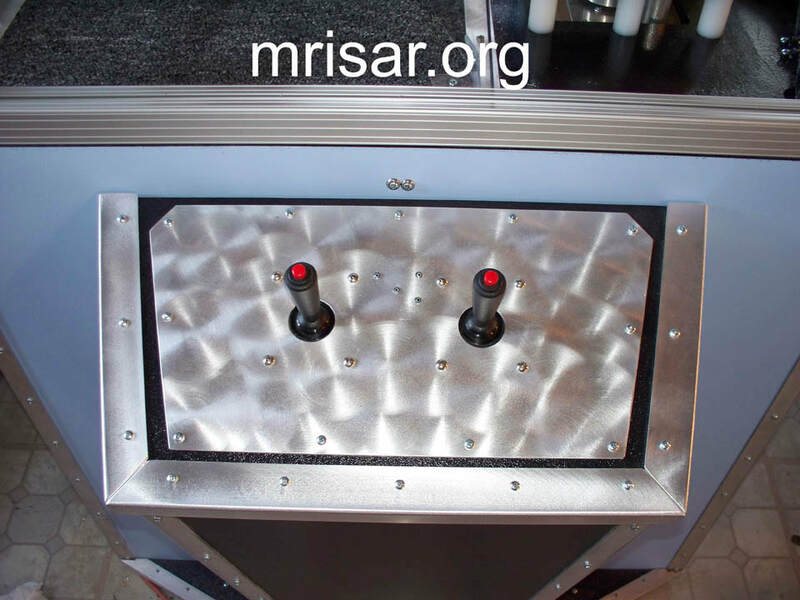 Top view of MRISAR's Simulator Space Dual Robotic Arms Work Station. This exhibit relates to STEM education. 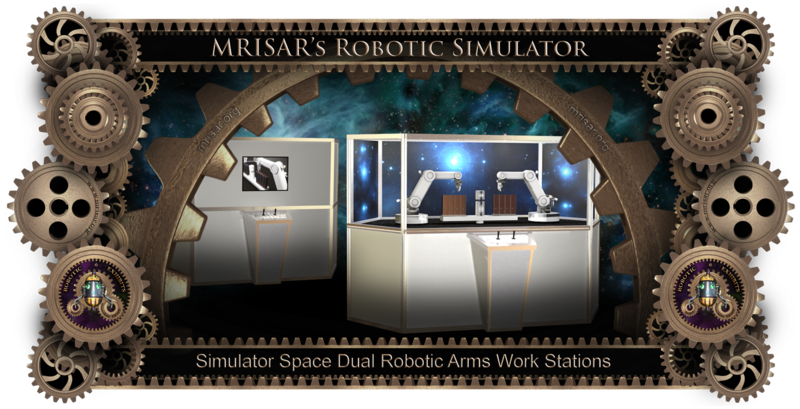 Simulator Space Dual Robot Arm Work Station! 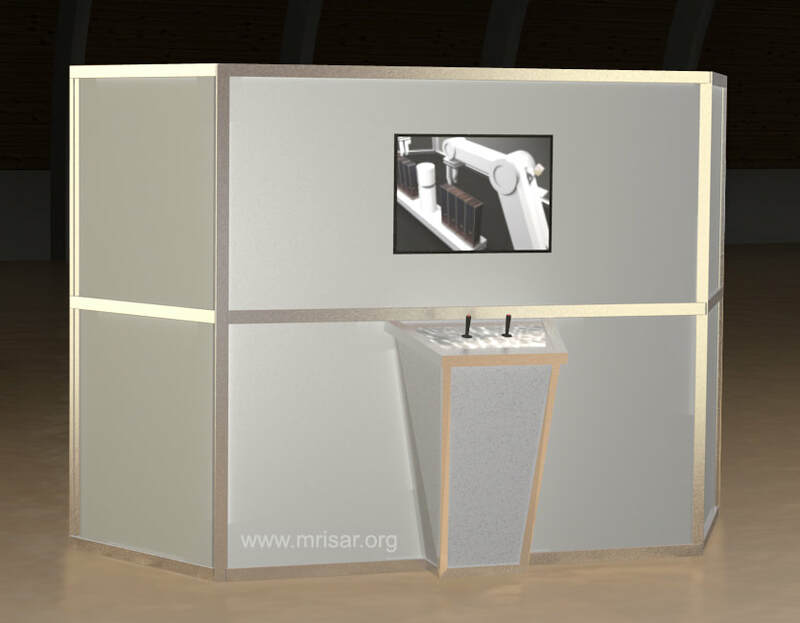 One exhibit with two usable sides: Line of Sight Side and Telepresence Video Monitor Side. 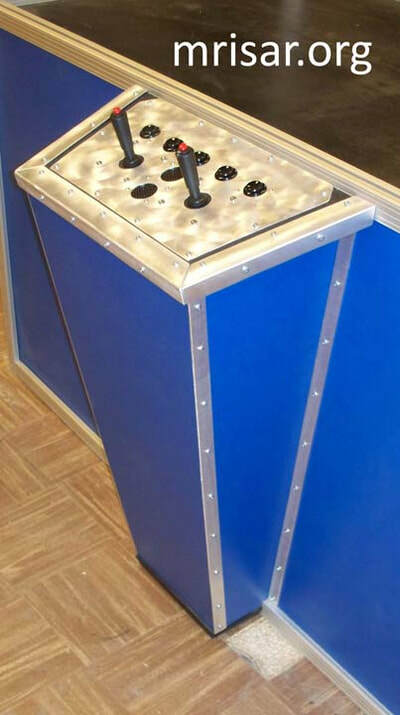 One arm is operated with direct view from the control panel that is attached to the side of the case containing the two robot arms. 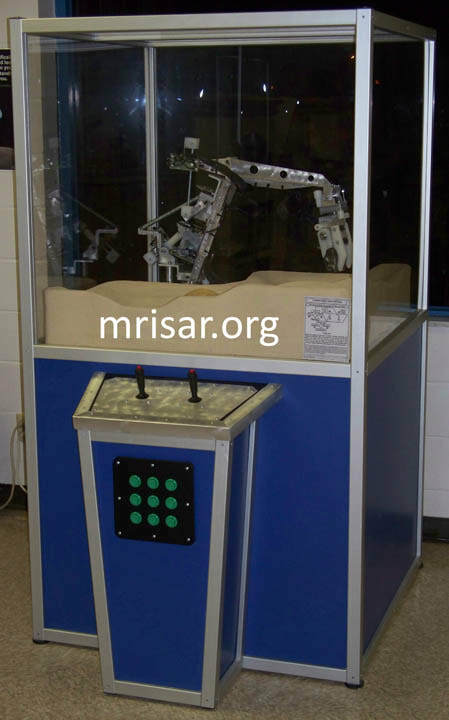 The other arm is operated remotely by using the control panel attached to the telepresence side by watching the arms movements on a monitor. Activity story: You are on a space mission. 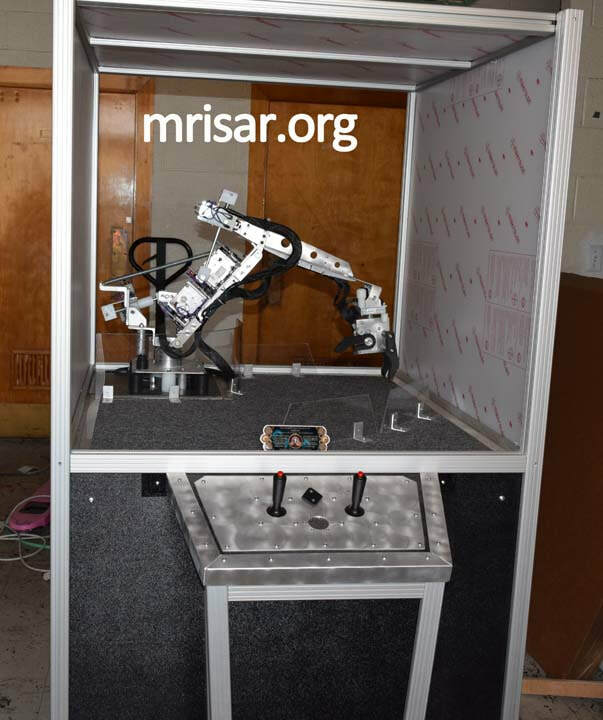 Your job is to use a robot arm to help build and configure an international space station. Succeed and vital research can be done that will help to save the planet and bring people from across the world together for a better collaborative future by creating many life-saving technological advancements. 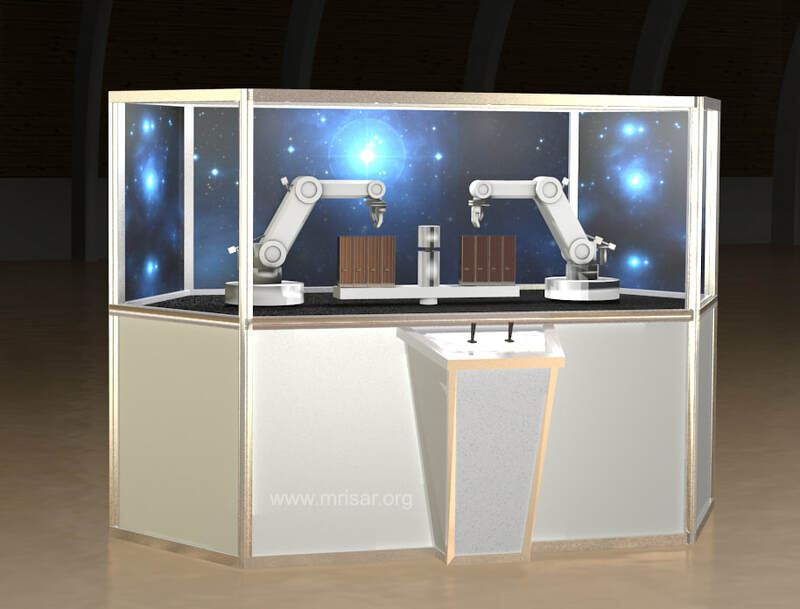 The goal of this exhibit is to familiarize the user with basic manual robot arm manipulation, the basic elements of the technology, the relationship that even very complicated equipment has to the basis of “simple machines” and the applications for robotic technology in space. The telepresence operation setup for robotics also specifically relates to workstations in space and industry. "Line of Sight Side" Basic description of the activity: The museum visitor uses a robot arm to assemble a series of geometric shapes that are representative of space station modules and solar arrays. 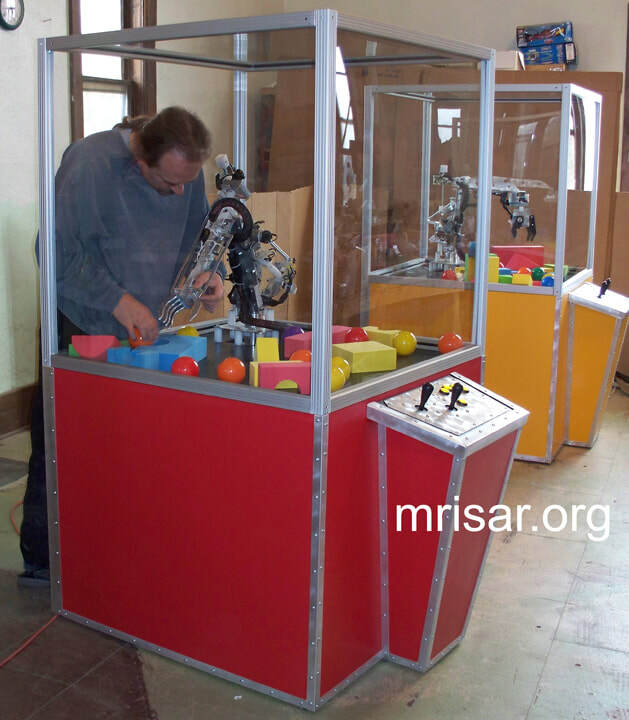 The arms feature five degrees of freedom and are usable by a very wide diversity of ages and skill levels. 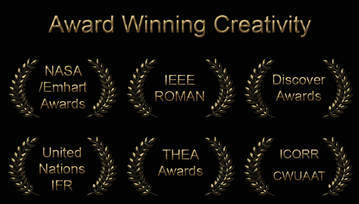 Inexperienced users will in most cases be able to pick up and maneuver objects in under a minute. With a bit of practice the parts can be assembled into more complicated structures. The parts that are assembled have magnets on them to hold their position. The magnetism is just enough to keep their location fixed during assembly, but weak enough to afford the ease of removal as well. "Telepresence Video Monitor Side" Basic description of the activity: The museum visitor uses a robot arm to assemble a series of geometric shapes that are representative of space station modules and solar arrays. 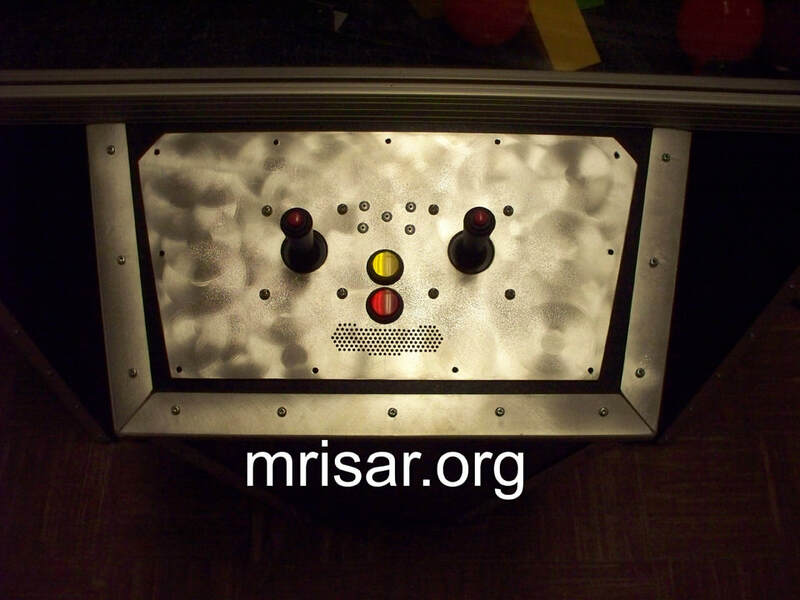 The telepresence operated arm (operated via video link) has five degrees of freedom and is usable by a very wide diversity of ages and skill levels. 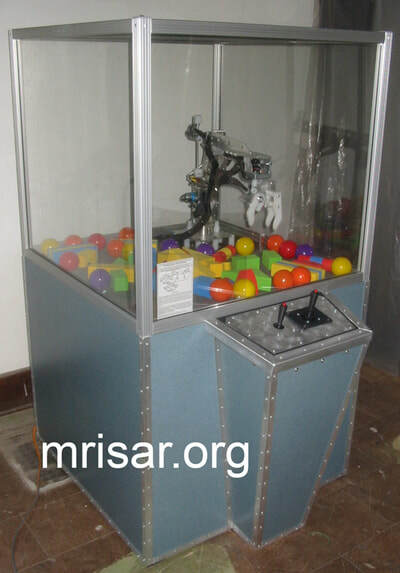 Inexperienced users will in most cases be able to pick up and maneuver objects in under a minute. With a bit of practice the parts can be assembled into more complicated structures. The parts that are assembled have magnets on them to hold their position. The magnetism is just enough to keep their location fixed during assembly, but weak enough to afford the ease of removal as well. 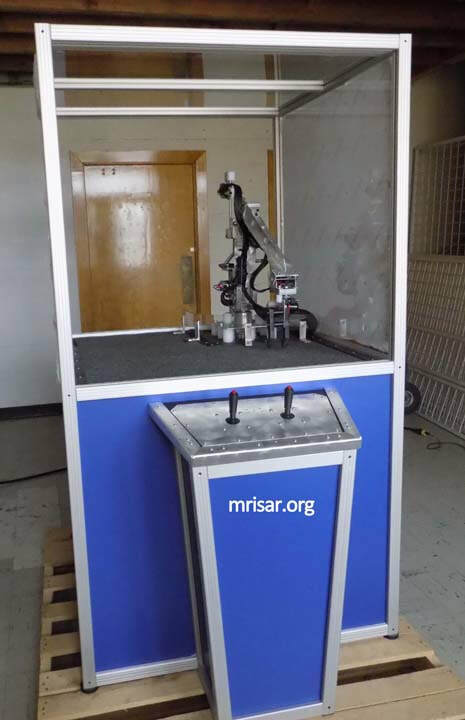 Basic Description: This exhibit features two electromechanical robot arms that measure approximately 39” long from the tip of the fingers to the base of the shoulder pivot assembly. The arms have pressure sensitive and end of travel limits, and can adapt to any arrangement of objects stacked in their path. The arms are made of light weight 6061 Aluminum and specially designed with travel and force limits. Degrees of freedom: Hand open and close, wrist horizontal CW-CCW, elbow up and down, shoulder CW-CCW, shoulder up and down. In addition to these controlled movements the arm also has a gravity leveled wrist. Purchase: Comes with two quality built electronic-electromechanical robot arms, fully enclosed exhibit case for the arms and telepresence adaptation (size 8’ long x 64” wide x 72” high), support electronics, visual support materials, maintenance information and schedule, activities and control panel. Contact us for a fabrication timeline. 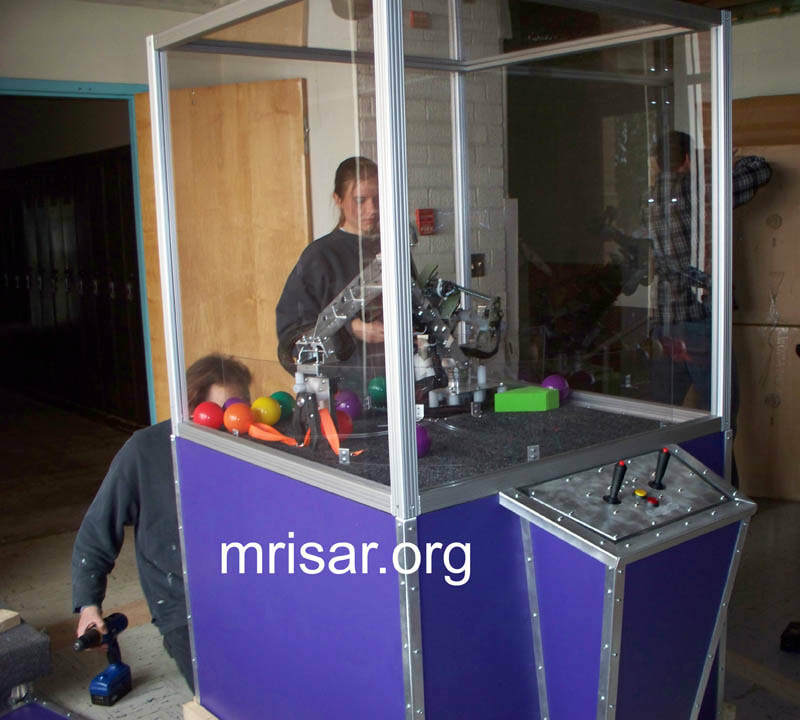 Additional Purchase Option "Spare parts kit for one robot arm": Set of five arm gearmotors (5), set of two replacement joysticks (2), four replacement long lever limit switches (4), four pin plunger switches (4), Replacement set of spring limit assemblies, replacement retraction springs. A replacement set of fuses, replacement open-close pc board for hand, Basic set of maintenance and repair tools.